The United States Department of Agriculture categorizes growing areas according to their average low temperatures during the year. Zone 7A includes areas from the southern Midwest to the southernmost parts of mid-Atlantic states. The average low temperature of these areas ranges from 0 to 5 degrees Fahrenheit. Shrubs that grow in this area are evergreen and deciduous. Evergreen shrubs provide year-round foliage near your home, whereas deciduous shrubs bloom with brightly colored flowers for a short period of time. Both small and medium shrubs grow in zone 7A. The Indian Hawthorne is a small evergreen shrub that grows between 2 to 5 feet tall. This shrub grows slowly and requires very little yearly maintenance. The Indian Hawthorne blooms with pink or white flowers. It must be in full sun at least six hours a day to achieve its maximum bloom potential. Other small evergreen shrubs that do well in full sun are Kerria japonica and Dahurian juniper. 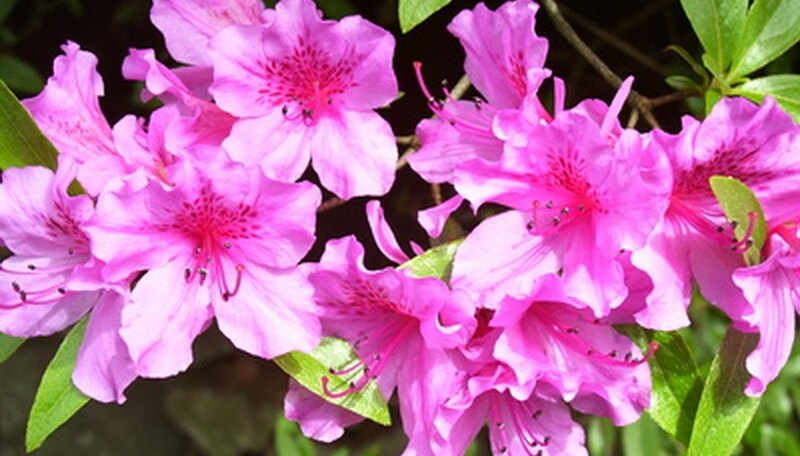 For foundations, which sit in shade most of the day, plant shrubs like Dwarf aucuba or azaleas. Both of these shrubs are slow-growing evergreens that grow to about 5 feet tall. The wintergreen barberry is a slow-growing evergreen. It needs a full-sun location to thrive. In spring, the barberry blooms with small yellow flowers. The Spring Glory barberry cultivar grows red leaves. The Scotch broom and inkberry holly needs a full day of sun to thrive. Evergreen shrubs such as mountain laurel and common boxwood do better in shady areas. The mountain laurel, which grows about 7 feet high, is a slow-growing shrub that may take up to 10 years to bloom. The Virginia sweetspire grows to a size of about 5 feet tall. It flowers in the early summer, with multiple small flowers on a bottle-shaped cone. Its flowers are very fragrant, and pleasantly wafts through open windows when planted near a home. Plant the Virgina sweetspire in a sunny area for it to bloom proficiently. The Spirea thunbergii is another deciduous full-sun shrub for a foundation planting. For a shady area near a foundation, shrubs such as the snowmound shrub and Bumald spirea will fill in bare areas. In late May the snowmound shrub blooms with small white flowers. These flowers cover the entire bush, giving it a snow-capped appearance. In early spring, the forsythia features bright yellow blooms. By early summer, this shrub loses the flowers and has green foliage. The more sun the forsythia receives, the better the blooms. These shrubs grow quickly, reaching heights of 10 feet if not pruned regularly. Choices for other sun-loving foundation shrubs are the oakleaf hydrangea and the Vanhoutte spirea. Cleyera japonica and the Pride of Rochester both tolerate shade, and reach a height of 8 to 10 feet.